This is the paperback edition and it came out in 1982. 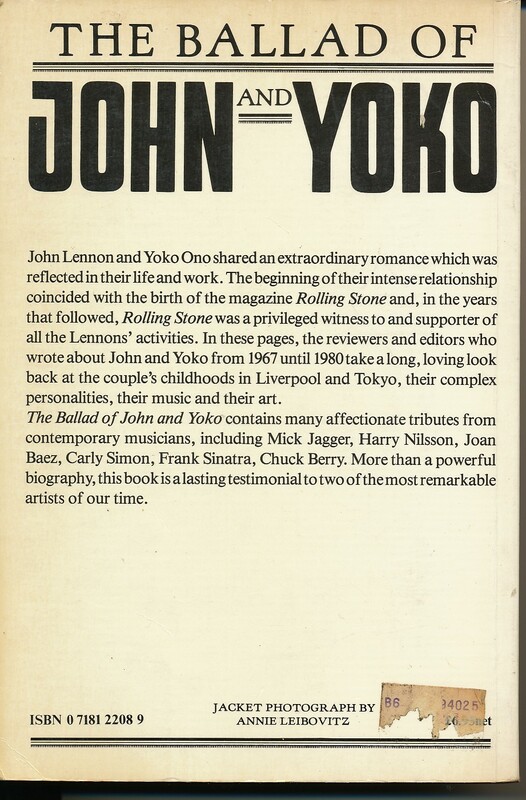 The book details (from the pages of Rolling Stone over the period 1967 to 1980) the love, the life and the activities of John and Yoko. It looks to be a fantastic compendium of some of the best writing about the pair as individuals, as a couple, and of course John as a member of the Beatles. 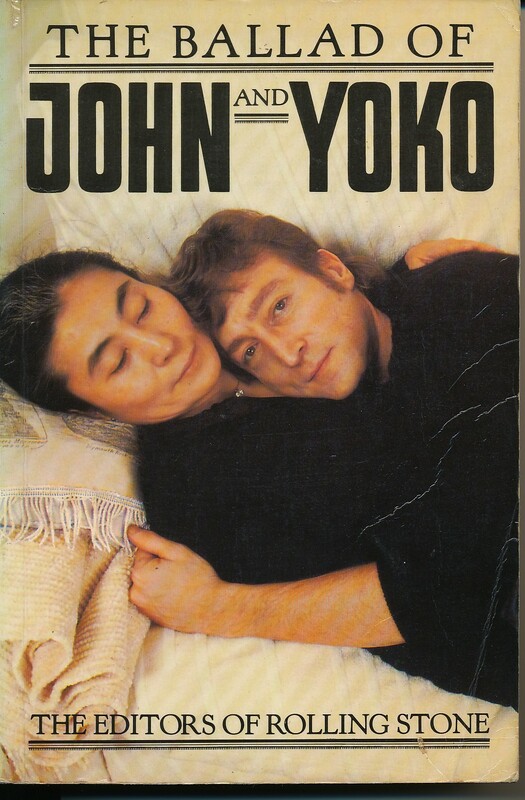 There are some great colour and black and white photos throughout, some of which I’d not seen before – like this one of Yoko. The photograph above is an interesting composition. 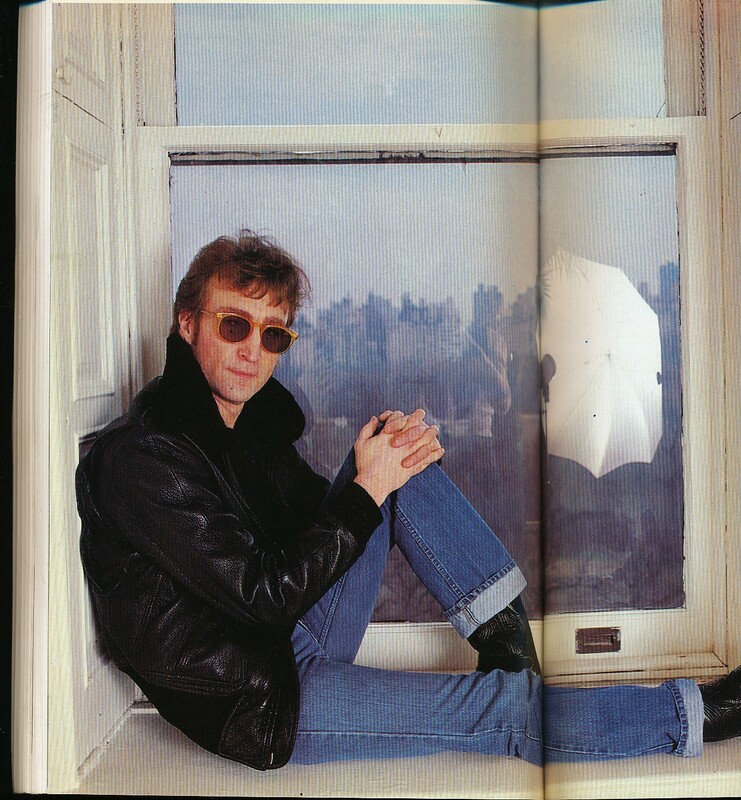 As you look at it you realise those are John’s hands. 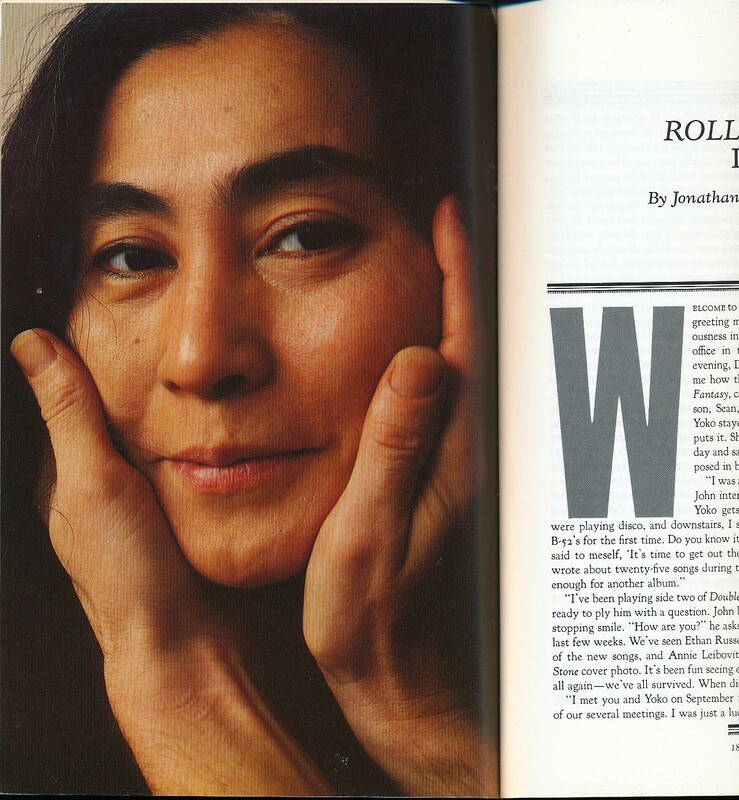 Articles by the likes of Jonathan Cott, Jann S. Wenner, and Chet Flippo; photos by Annie Leibovitz; and a section just called “Remembering John” – with contributions from Gerry Marsden, Ray Charles, Joan Baez, Jim Keltner, David Geffen, Bobby Keyes, Carly Simon Norman Mailer, Chuck Berry, Mick Jagger and Harry Nilsson – to name just a few. It is going to be a very interesting read. This entry was posted in Beatles, Beatles Books, Beatles Collecting, George Harrison, John Lennon, Yoko Ono and tagged Beatles, Beatles Books, Beatles Collecting, George Harrison, John Lennon, Yoko Ono by beatlesblogger. Bookmark the permalink.